Ali Carter secured his 14th consecutive appearance at the Crucible with a 10-6 defeat of Dominic Dale in the final qualifying round of the Betfred World Championship. Carter has fought cancer and Crohn’s disease in recent years but has never lost his dedication to snooker and has kept his ever-present record at the Crucible going, having made his debut in 2003. 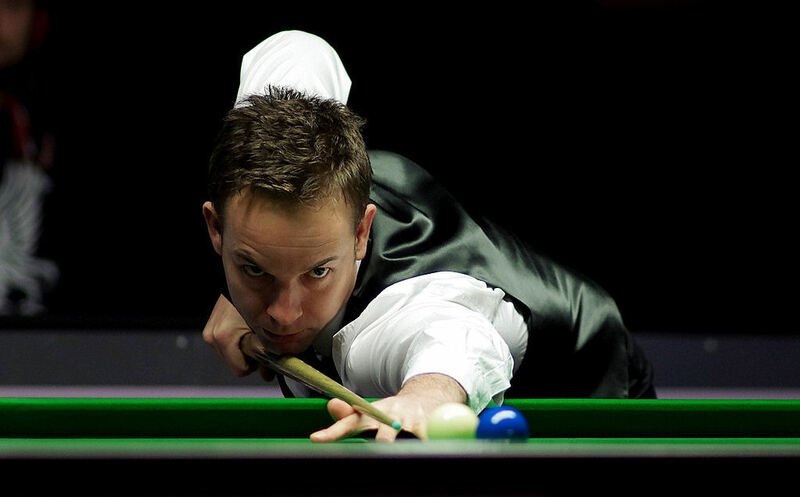 The Chelmsford cueman built an 8-1 lead in the first session with a top break of 101. Dale fought back to 8-6 before Carter took the next two frames to secure his place in tomorrow’s draw. “At 8-5 it started to get a bit twitchy,” said Carter, who was runner-up in 2008 and 2012. “I had to be patient and wait for a chance. But overall I played some good stuff. I feel as if I am having to qualify through no fault of my own and I have had three tough matches. Former World Champions Graeme Dott and Peter Ebdon both made sure of their Crucible spots. Dott beat Mike Dunn 10-7 with a top break of 90 to become the fifth Scot in the draw, alongside John Higgins, Stephen Maguire, Alan McManus and Anthony McGill. Ebdon, the 2002 winner, saw off Ian Burns 10-2 with a top run of 79, securing his 23rd visit to the final stages. Ken Doherty, the 1997 champion, led Ryan Day 5-3 but eventually lost 10-6. Shanghai Masters champion Kyren Wilson secured his place with a 10-6 defeat of Matthew Stevens, his top break 97. Wilson will now make his second Crucible appearance, having lost to Ricky Walden on his debut two years ago. UK Championship runner-up Liang Wenbo beat Xiao Guodong 10-6 with a top break of 96, and in another Chinese derby, Zhang Anda saw off Zhou Yuelong 10-7 with a top run of 113. In the last match to finish, Michael Holt beat Mark King 10-8 in a tense finish. King got the two snookers he needed in the 18th frame and had a chance to clear, but missed a tricky final blue and Holt potted it to secure victory.